You know when you want your t-shirt, but at the same time you are longing to amp up your wardrobe? The struggle is real! 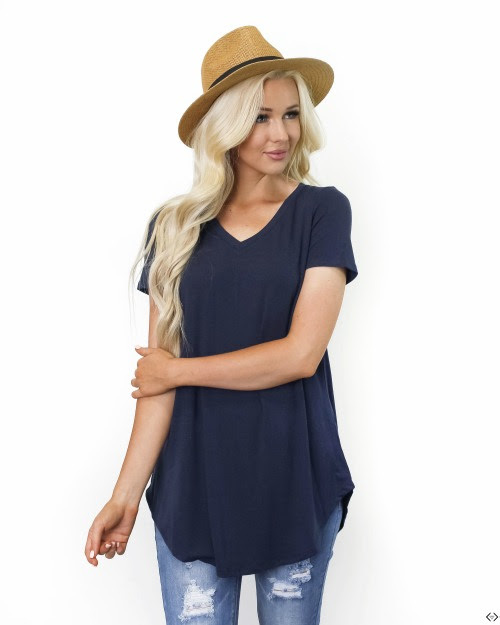 Freshen up your t-shirt and jeans style with these Fashion Tunics . Pair these with distressed jeggings or your favorite jeans. Accessorize with some layered necklaces and a favorite hat. These transition well into all seasons and are a perfect go-to piece for every day wear! The code is FRIDAYTUNIC and it makes the final price just $16.95! Don't forget the FREE Shipping! The code is active until 07/23/18 at midnight!